This is a die-cut Duplate Safety Glass porcelain sign. This particular Duplate Safety Glass sign is beige with blue print. 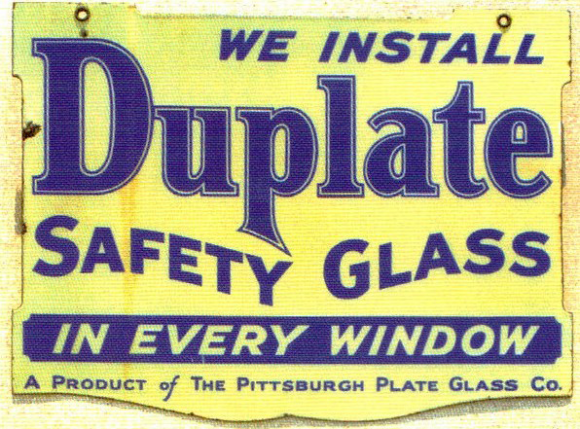 It reads, “We Install Duplate Safety Glass In Every Window, A Product of the Pittsburgh Plate Glass Co.”.